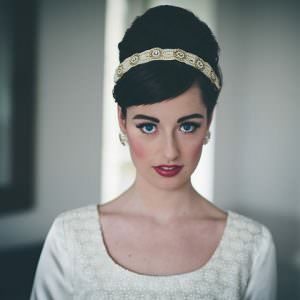 Today Lyndsey is going to be showing us how to make this Vintage Inspired Floral Headband. 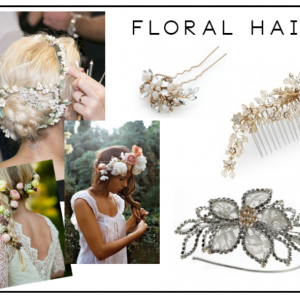 Perfect for a vintage wedding or a 20’s Fancy Dress Party! 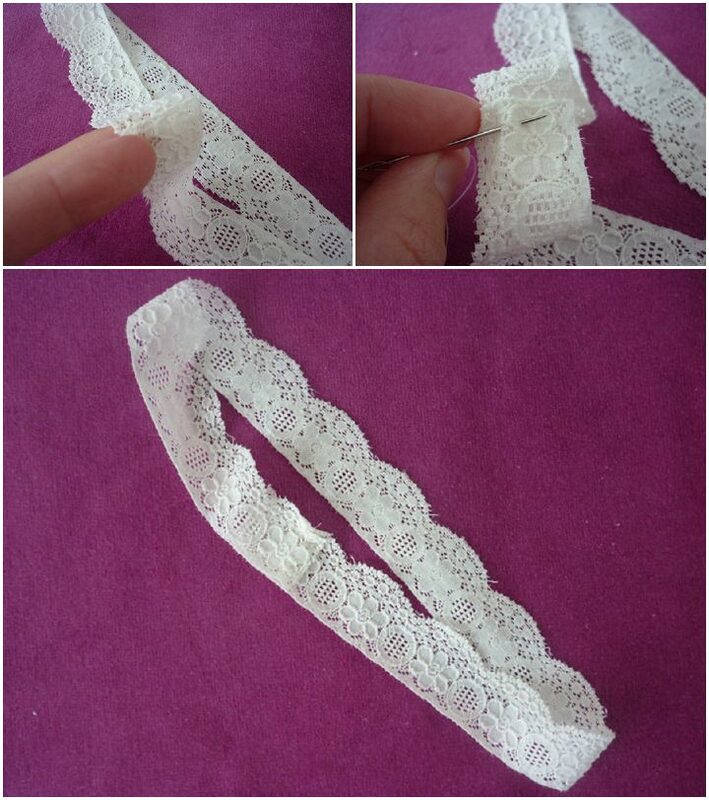 STEP 1) Take the elasticated lace and place it round your head overlapping the two ends together until it fits comfortably and trim any excess lace. 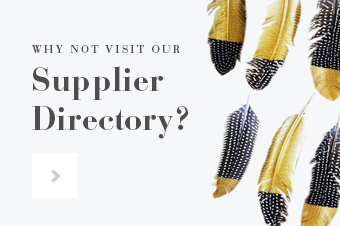 When you have achieved the correct size, take approximately 60cm of thread, thread your needle, tie a knot at one end and sew the two overlapped ends together until secure and you have created a band. STEP 2) Take a piece of thread approximately 80cm in length, thread your needle and tie a knot at the end of the thread. 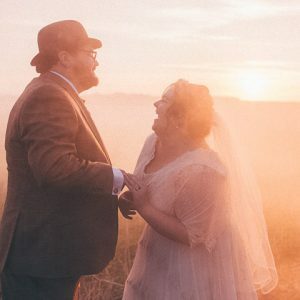 Take the first half circle of fabric, then with the nice side of the fabric upwards and the straight edge of the half circle pointing towards you, sew three stitches on top of each other in the bottom left corner, until the thread is secure. 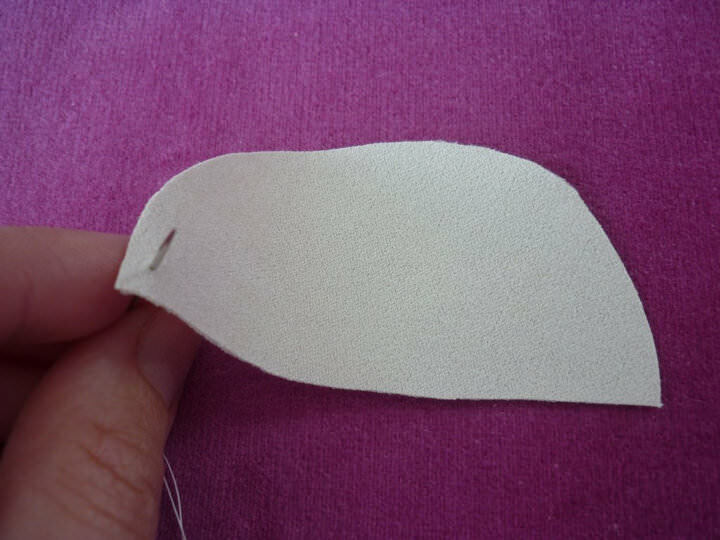 STEP 3) Then using a running stitch, sew several stitches along the straight edge of the fabric, the number of stitches is up to you but ensure all the stitches are the same size. Then using the same thread repeat this process for the other four half circles so all five half circles are sewn together. 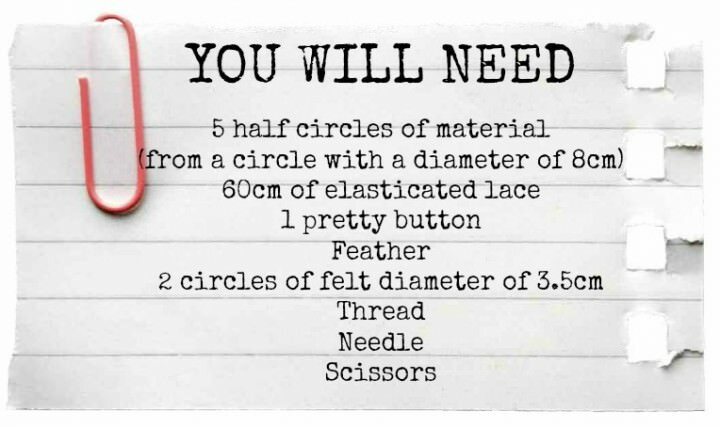 STEP 4) When you have sewn through all five half circles, gather them together by pulling the thread. 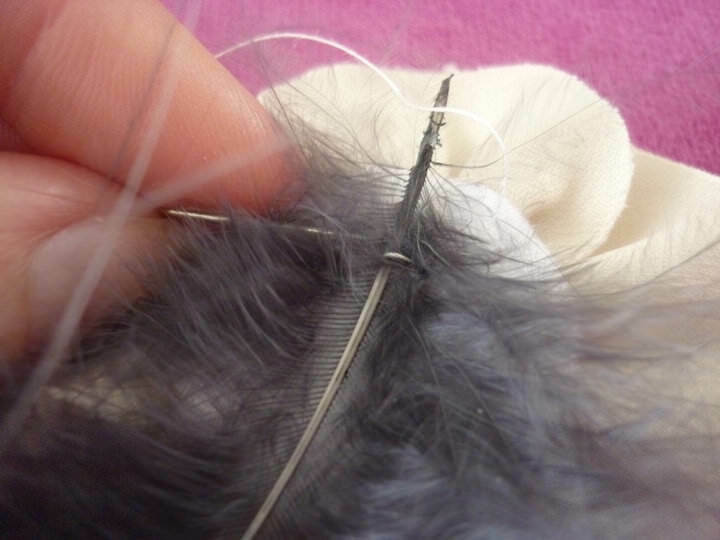 Then take your needle and put it through the point in the first half circle where you sewed your first three stitches. 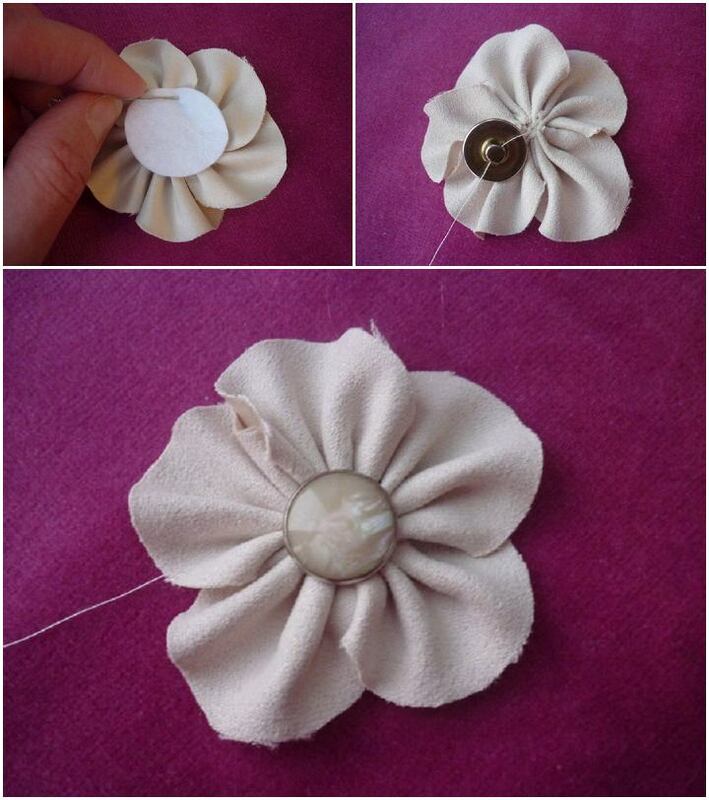 Then pull the thread tightly until there is no gap in the centre and you have created a flower shape. 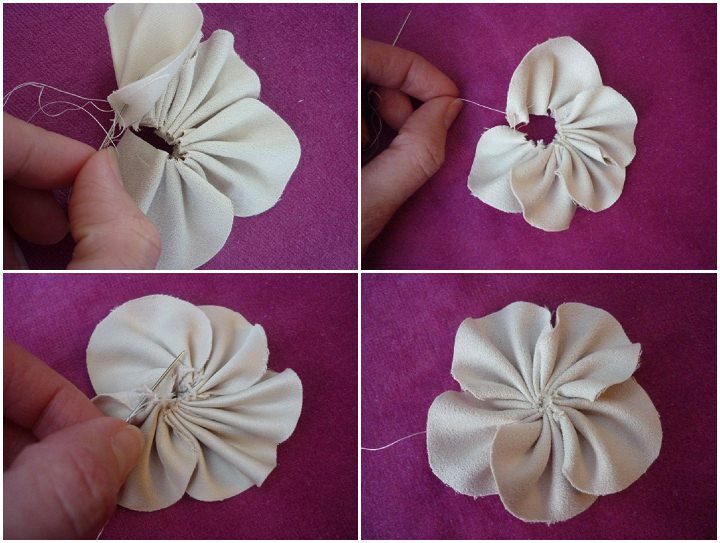 Then secure the flower by sewing the meeting edges of the side of half circle one with the side of half circle five. 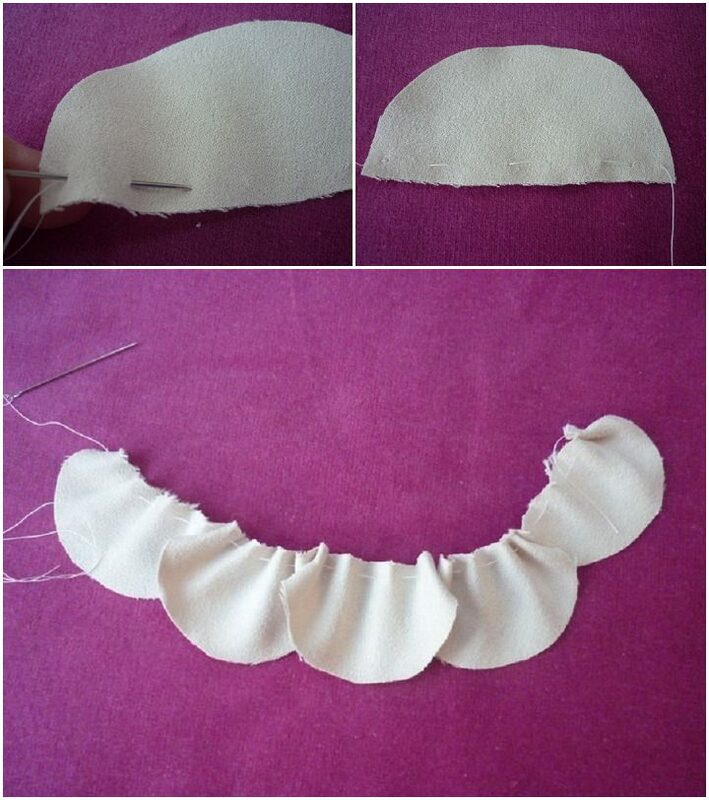 STEP 5) Take a circle of felt and sew it onto the back of your flower. 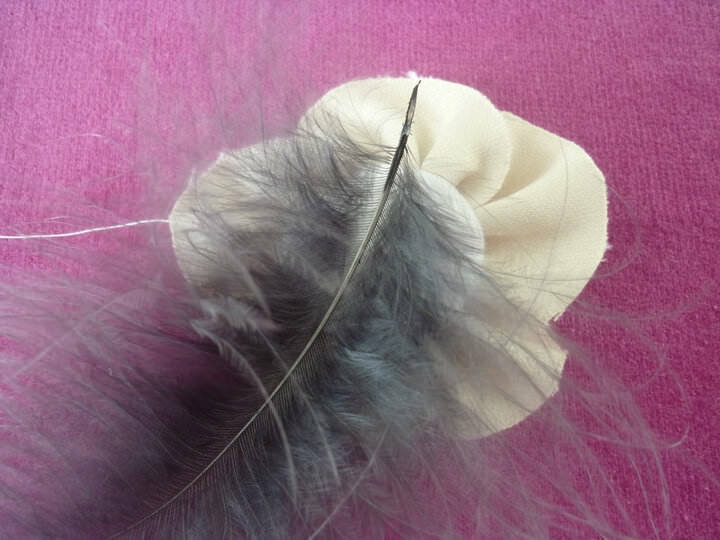 Then sew your button into the middle of your flower onto the felt, this will hide any frayed fabric edges in the middle of your flower. 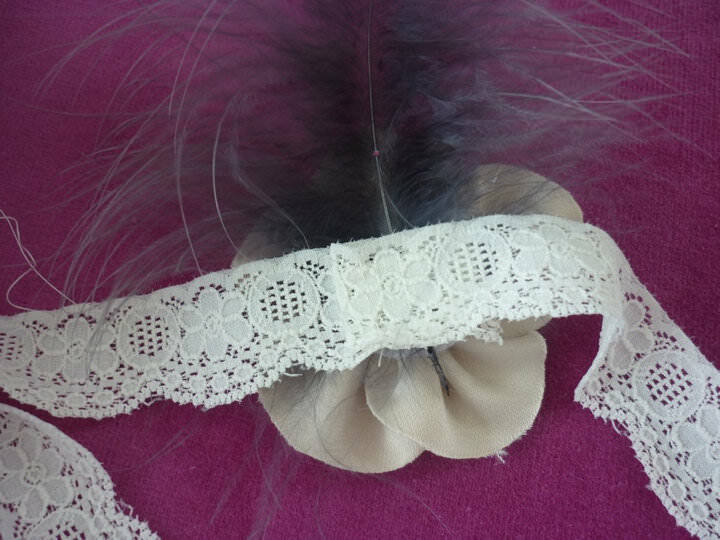 STEP 6) Take your feather and sew it onto the felt at the back of the flower. 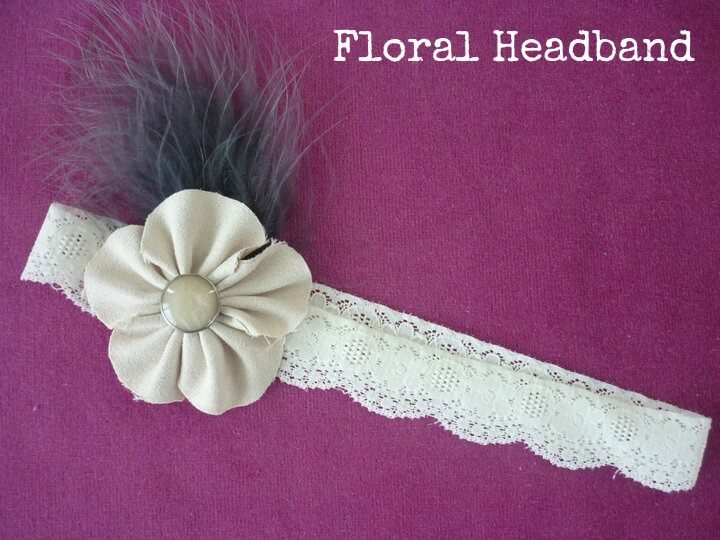 STEP 7) Finally take the headband and place the flower on top of the overlapped edges of your band that have been sewn together. 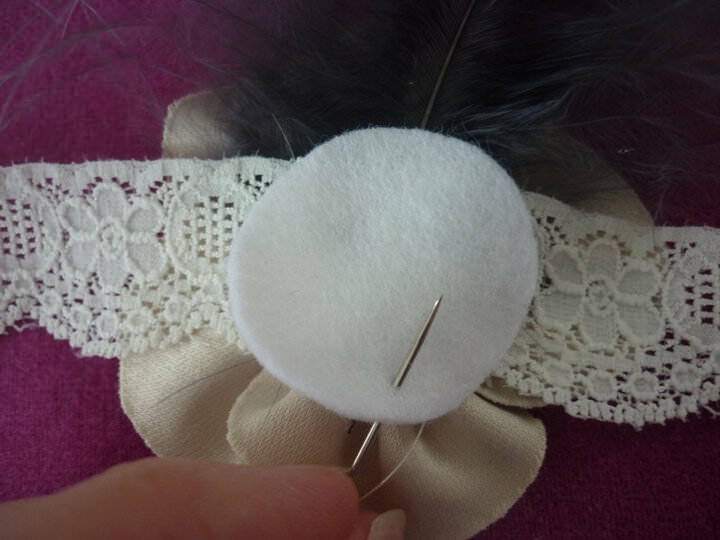 Then take the second circle of felt and place it over the band (so the band is now between the felt and the flower) and sew this piece of felt onto the flower to ensure that the flower is securely attached to the band. 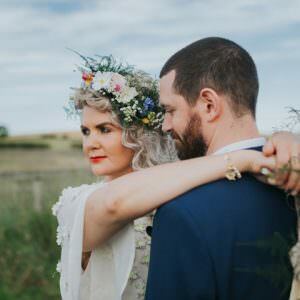 Why not adapt this pattern by using larger half circles to make a larger flower or adding two or three flowers to the band. 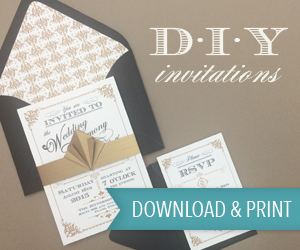 Created by Lyndsey Harvey from Blooms by Lyndsey. 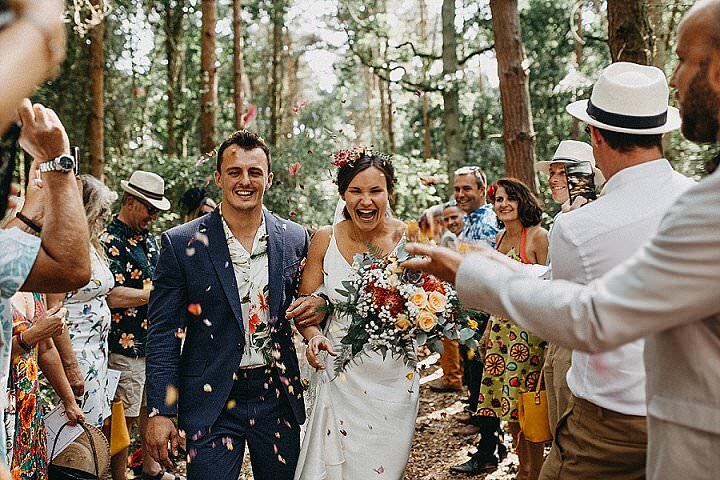 Lyndsey creates fabric flower accessories, bouquets and arrangements and holds flower making workshops and parties in South Devon.